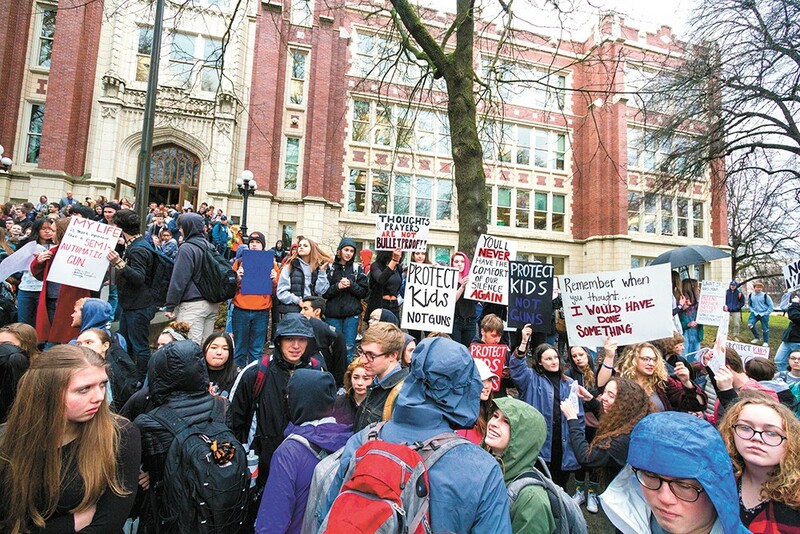 Scenes from the walkout at Lewis and Clark High School. 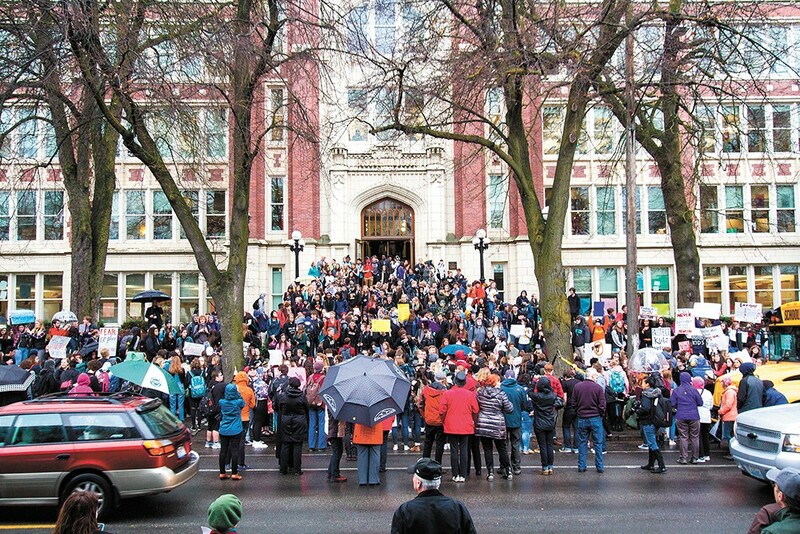 As hundreds of students spilled out of the front doors of Lewis and Clark High School on Wednesday, March 14, even the student who organized the walkout was surprised. "This is a lot bigger than I expected it to be," said Fiona Whitver, a senior at LC. Yet the walkout was just one of many in the region and across the country honoring the victims of the Parkland, Florida, school shooting last month. It lasted 17 minutes, one for each of the 17 victims of the shooting. Area high schools like Mead, Shadle, East Valley, Gonzaga Prep, Rogers, Ferris, Coeur d'Alene and Freeman — which in October experienced a shooting of its own — participated. 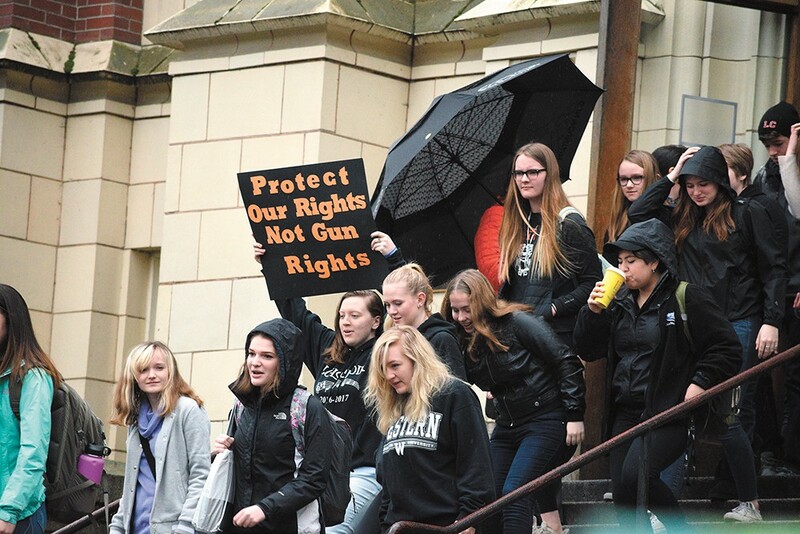 Younger students at Sacajawea Middle School and Wilson Elementary School also took part, demanding action for an end to gun violence in the United States. "This is my first year of high school. I've already felt a lot of the stress that comes with being in high school and one of those stresses should not be, 'Am I going to get shot today?'" 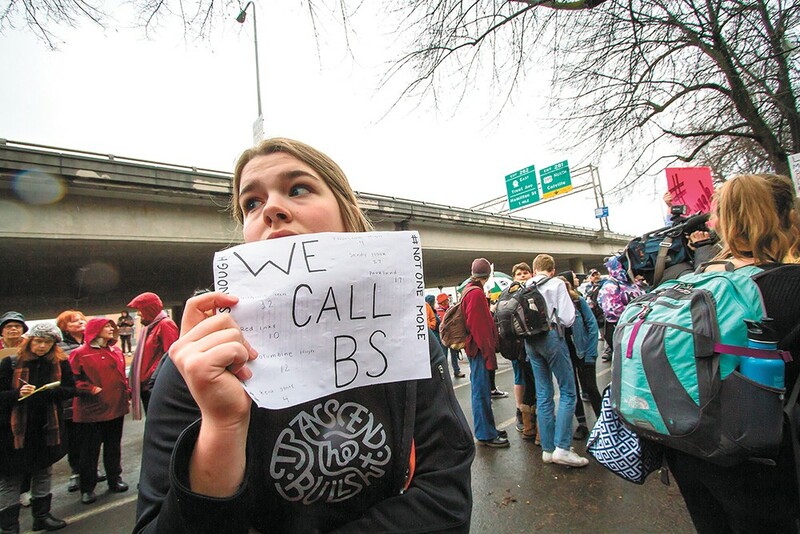 says 15-year-old Larke Schaff, a student at Lewis and Clark. 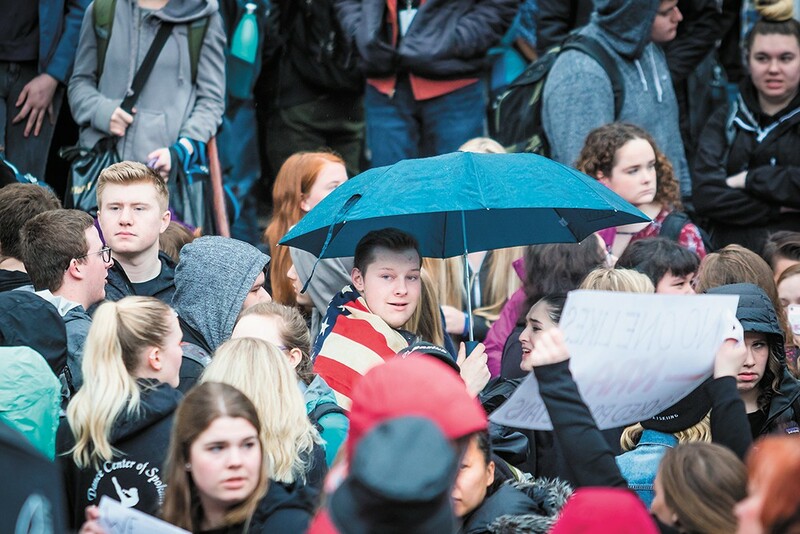 It won't be the last student-led demonstration against gun violence. A group of students from local high schools have a "March for Our Lives" planned for Saturday, March 24, that will lead students through the streets of Spokane. And then, on the anniversary of the Columbine shooting on Friday, April 20, there will be another walkout protesting gun violence. Ellary Lockwood, another LC student charged with organizing the March for Our Lives, says she and other students want to put pressure on lawmakers. "We want to continue putting pressure on legislation," Lockwood says. "This march is focused at a federal level, but at a state level too we want to make sure we have safety with our guns." The original print version of this article was headlined "Walking in Their Shoes"